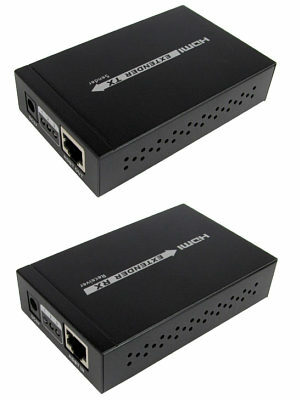 4k HDMI Over Ethernet Extender with IR remote control using HDBaseT technology, enables an HDMI display to be located up to 70 metres away from the source device. It can be conveniently extended using only one Cat5e / 6 / 6a / 7 cable, which is cost-effective. It not only supports HDMI (3D, Deep Colour) but also UHD 4k x 2k and is HDCP compatible. It is perfect for the meeting room, home theater or any installation that needs long distance transmission and superior video quality. 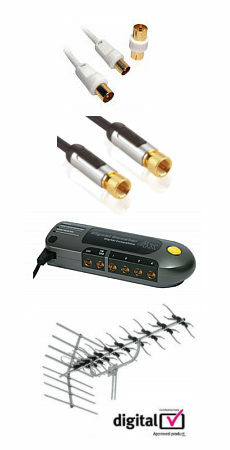 • Support 20-60kHz wide frequency devices and Bi-directional IR transmission. How many network cables are required? 1 network cable is required. WIll these work with Homeplug powerline adapters? No they need a dedicated ethernet cable. Will I lose any video or sound quality? No the picture and sound will be the same as using an HDMI cable. Do I have to connect the power supplies? Yes, 2 power supplies are provided, one each end and these must be connected.